Unmatched colour printing. Industry-leading media flexibility. Professional colour management technologies. These are the benchmarks of the Phaser® 7800 — the only A3 size colour printer in its class that delivers the full complement of advanced capabilities today’s most graphic-intensive environments require. Now any business that produces large volumes of high-resolution output, such as advertising agencies, graphic design shops, marketing communications firms, photography studios and countless others, can keep more of their business-critical print jobs in-house thanks to the Phaser® 7800 colour printer’s unbeatable state-of the-art technologies. The Phaser 7800 is an A3 size colour printer that delivers exceptional printing quality for creative professionals, photographers, and designers. Engineered to meet the requirements of a graphic-intensive environment, the Phaser 7800 boasts of its capabilities in producing high resolution output that allows creative professionals do their print jobs in-house. If your workgroup needs large volumes of high-resolution output, the Phaser 7800 will take care of it for you. This exceptional printer delivers high print resolutions with PANTONE, a calibrated solid colour technology that provides consistent quality to your images. It produces vibrant colours and smooth transitions with no room for striping or streaking to ensure that you get nothing but the highest quality printer. With this printer, you are able control and maintain the colour accuracy in output devices with the PhaserMatch 5.0 software and PhaserMeter which is powered by X-Rite. 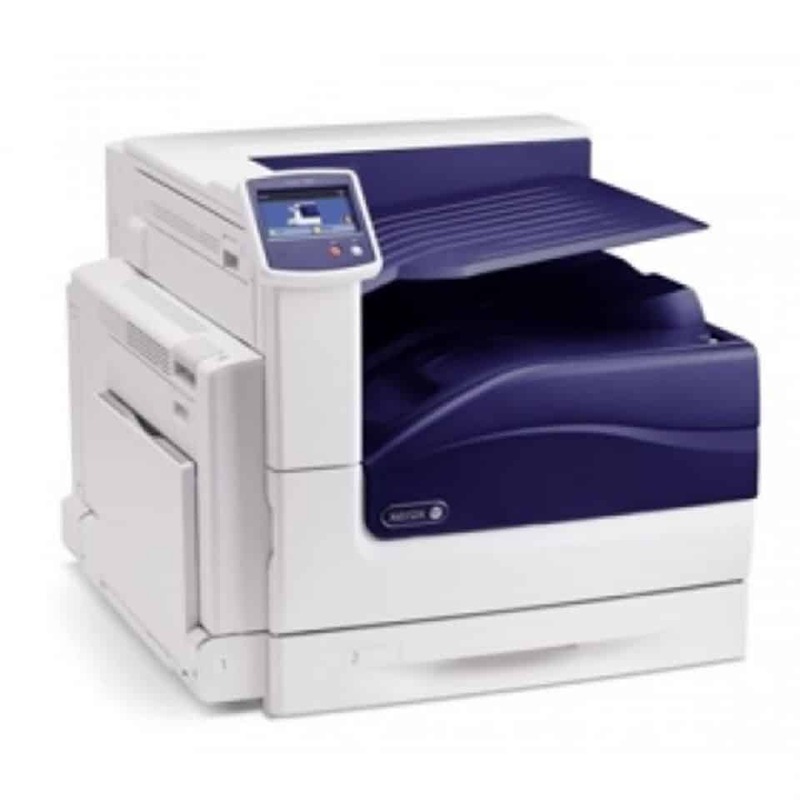 The Phaser 7800’s colour printer can accommodate all types of printed materials. You can let your creative side take advantage of its 75 to 350 gsm and its 88 x 89 to 320 x 1219 millimetres size. From brochures to posters and banners, no other printer can perform better than the Phaser 7800. With the Phaser 7800, you are able to stay on top of deadlines and meet the demands of every graphic-intensive environment. It produces colour and black and white output that speeds up to 45ppm and includes a 2GB and a standard 160GB hard drive to manage and handle high resolution print jobs without any hassle. The Phaser 7800 also has standard duplexing that provides you convenience while printing and helps you reduce paper consumption. Plus, the Phaser 7800 has a duty cycle of up to 225,000 pages per month and can withstand regular use.